Every now and then I get to do an interview where the journalist asks really interesting leading questions, and they make me think more about what I’m doing. The interview for XOXO was one of them. Sadly, due to the nature of magazines, space on pages and stuff they often get chopped down. So I thought for those that are interested I’d share the full unedited interview. Before I delve in… for those that don’t know what any of this is about, here’s a super quick timeline to bring you up to speed on this whole bizarre paint saga! 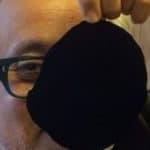 A company called Surrey NanoSystems create the blackest black, called Vantablack – it uses carbon nanotubes to absorb almost all light, looks like a black hole when something is coated in it, makes 3d things look flat and basically is amazing and awesome beyond belief. it’s useful for loads and loads of stuff. It is announced that Surrey NanoSystems have entered into an exclusive agreement with mega-artist Anish Kapoor. Meaning that he is the only artist they will work with. They are happy to work with scientists, astronomers, the military, luxury brands, deodorant companies, watch makers but it’s a closed door policy for artists. Basically artists are the only group specifically excluded from the substance. 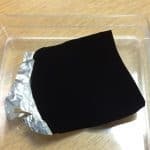 Obviously artists were really excited by the idea of VantaBlack and many get upset to be singled out as not able to use the stuff reported by the guardian. An online campaign starts around the hashtag #sharetheblack with artists lobbying for Anish and Surrey NanoSystems to engage with other artists. 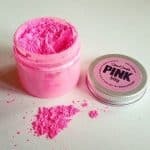 I’ve been making my own paint for over a decade and I decided to oin the campaign so I made one of my colours – the world’s pinkest PINK available online on culturehustle.com for anyone to buy (for what it cost me to make it) except Anish Kapoor (the website terms of service legally excluded him from using it). It was supposed to be a bit of a satirical, critical joke and artistic comment on something I thought was dodgy. 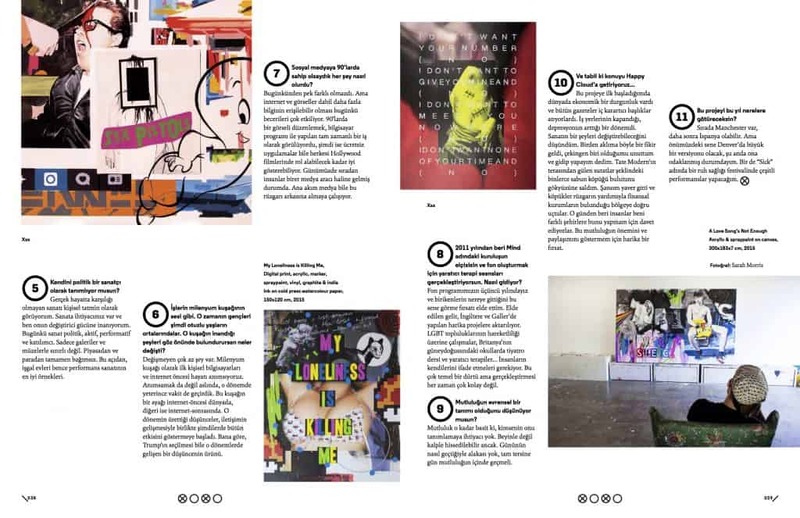 I wasn’t expecting to sell any or anyone to be that bothered but… it was quickly picked up by Dazed & Confused , Vice & The Metro and took on a total life of it’s own. In what ways your near death experience had an impact on you to become an artist? If you wish, could you give us a bit of information about the transpired events? Well it just changed everything. I was incredibly lucky to survive it’s a miracle I’m here at all. Basically that changed the way I felt about just about everything, but I suppose the biggest thing was I really didn’t want to waste a second of time because I didn’t know if I’d die the next minute, day, week. So all that seemed to make sense after that was to make work. I needed to make work as a way of coping with what had happened, it’s cheesy but when I was dying in the hospital art was something I latched on to in my mind as a reason to recover and keep going. How can one see the traces of this event in your work? Something like that raises more questions than it answers and it left me with a lot of anxiety and fear. I felt quite isolated, so I think in the work there this underlying sense of anxiousness, and isolation really. And maybe some kind of commitment to making things better to finding what home is or safety, maybe happiness. Your work is the voice of the “millennial generation”. And the people who grew up with that voice inside, are now in their mid-30s. If you take at those people and their beliefs into account, what hasn’t changed since then? What hasn’t changed,very little. Everything has changed. This generation is pivotal because we remember the first home computers we remember life before the internet but we were also young enough to get our heads round it. I think the internet is the biggest shift, we have one foot in the world post-internet and one foot in the world pre-internet. The impact of the whole 80s thing has just grown to engulf everything, even Trump comes out of that mindset in a way. What do you think about the difference between today’s pop culture and of the 90’s; and its consumption? What would the 90s look like with today’s social media? I think with today’s social media the 90s would look like what today looks like. Visually the difference comes through democratization of tools, in the 90s the idea of airbrushing something was a job. Now there are free apps that make anyone look like a glossy celebrity. The difference between then an now is that now is user generated, essentially normal people have become the media, and mass media is playing catch up. So it’s a two way street, it’s a conversation. It’s not so much a broadcaster and consumer relationship. That doesn’t mean people are authoring the most positive of experiences and messages though and most of the stuff seems to play into stereotypical parameters of what’s acceptable that were established since the 60s when youth culture really started to find it’s feet. That culture has now become the be all and end all and most media, user generated or otherwise exists in that space. It’s a cliche but there was that phrase that pop would eat itself and it really did. We all live in one big warhol now. How do you compose the imagery in your work? What is your biggest inspiration? Music really is always the start it gives an impulse and an emotion. I collect a lot of song lyrics on a massive blackboard in my studio. Then there’s a lot of collaging going on and that could be physically or digitally. After a while those things get too heavy and they become pressing and then they kind of need to be painted, so I start to make paintings. Then these paintings evolve as I make them depending on the flow of the days. Paint really. At heart I’m a painter, I love the materiality of paint and the limits of paint. I like the fact it feels really traditional and old fashioned. i think there’s something really quite punky about painting pictures ina time like this. It’s a really limited medium but that’s the challenge. It’s really hard too, painting is hard. It’s a discipline it’s physical. I think when you play with paint, you’re also playing with colour and in life now with screens and printing we very rarely see real colour, it’s all made up of red green and blue dots that are backlit. I love pure vibrant colour. 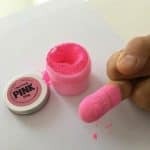 The world’s most glittery glitter and pinkest pink… Do you see their production and marketing as part of your artistic practice –as a comment on popular and consumer culture, or just a play on Anish Kapoor’s Vanta Black? It’s art. It’s a performance. A painting is paint. If you take paint off a surface it’s still a painting. I like the idea of making art that gives space for other people to make art. This is like a performance piece and a collaboration. Yes it’s about accessibility, freedom of expression, collaboration vs competition. The way these products look, the way they are distributed, this isn’t some kind of accident. The internet is the gallery now. Social media is the platform and it’s inclusive everyone is invited. It’s for all those freaky kids like me who were told they wern’t allowed in. That they weren’t good enough to express themselves. That they couldn’t have access. Even materials… good art materials, unless you were rich or in the right place you couldn’t have them. That’s rubbish, arts for everyone, colour is for everyone. The old world elitist model is dead. It’s not about how much money you’ve got, it’s about how happy you are. This has nothing to do with me, it’s taken on a life of it’s own and I love every moment of it and everyone who’s got onboard is beautiful. 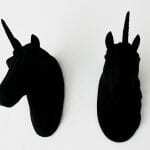 What does Anish Kapoor’s copyright over Vanta Black tell us about the dynamics of the contemporary art world? Do you think he will #ShareTheBlack eventually? If so, in what ways do you think it will affect other artists? No I don’t think he will. All he’s managed to do is release a 95,000 dollar watch. Forget about it. It’s the old world. What tells you more about it is that he’s got 41 tousand followers on instagram and follows nobody back. he doesn’t answer a single comment. The old world was held in small rooms by a small cabal of people with money and influence. They held the power over what was or wasn’t in ‘the cannon’ of taste and beauty and value. That’s all gone. Anyone can put anything online and if it’s good it goes viral. It happened with music total unknowns making great work and connecting with people who understood them. Gaga without the social conversation would be a pizza waitress. The thing was up till now the industry was dominated by power players and the offering was limited. Just like the number of CD’s in the supermarket. But with the internet we can all choose to look at or hear almost anything, so the good stuff rises. It doesn’t look like the wealth and power really make a difference it looks like creativity and quality are winning. 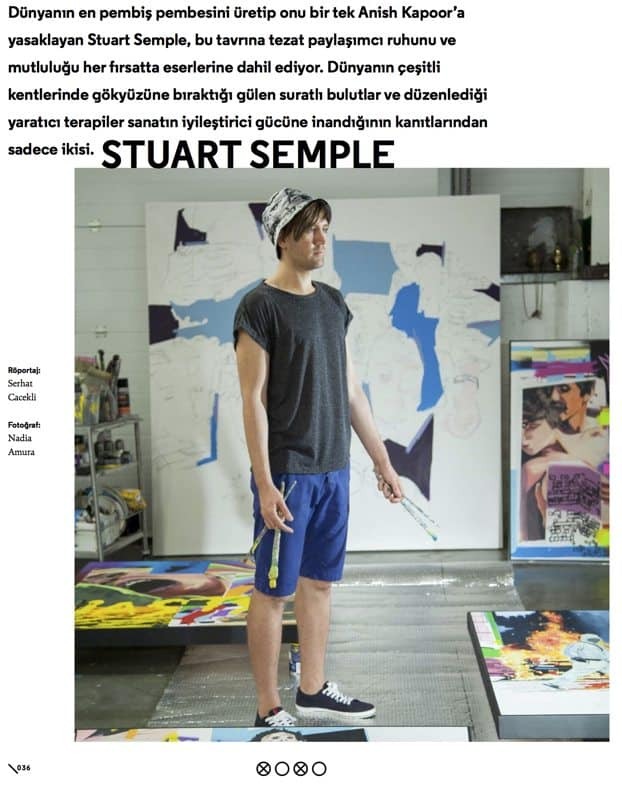 It’s funny to see the artworld trying to catch up. It’s got to be about inclusion and accessibility. But vantablack shows a total arrogance that one man is clever enough and rich enough and brilliant enough to speak for the progression of a material. I don’t buy it! I know for a fact there are millions of people in their bedrooms right now making stuff that would blow minds and we need to be seeing it. In that sense, do you consider yourself as a political artist? Deeply of course. Art without an application is self gratification. We need art, art can do something. The best art being made today is political, activated and performative. It’s inclusive and it’s not happening in galleries and museums. It’s separate from the market or money. Squatting is the best performance art. In 2011 you became an ambassador for Mind, the mental health charity where you initiated a creative therapies fund. How is that going along? What is your take on the relation between creativity and mental well-being? Actually really well. We’re into our 3rd year of funding now and I’ve just seen where the money is going this year! Some amazing projects throughout England and Wales. Everything from movement with the LGBT community in Islington, to drama in schools across the south east, singing and music making in the south east and creative therapies for cares in Cambridgeshire. I think we need to express ourselves, as humans. It’s a very basic need and it’s not always easy. Sometimes it’s hard to do that with words but in the right environment when we start to let these things out we gain a new perspective on them and this can be so powerful. I swear by the fact that without art I probably wouldn’t be here. Access to creative therapies is so important for this country at this time. Could you tell us the story behind your “Happy Cloud” project? Okay well it was the recession, all the newspapers were carrying ‘doom and gloom’ headlines. A lot of my friends were losing houses. Businesses were shutting. Basically it was a depression. I thought art could and should be doing something active. I just had this idea out of nowhere and although I’m normally a bit of a wimp I just went and did it. I let off thousands of soap clouds int he sape of smiley faces from Tate Modern, and by complete fluke the wind that day blew them towards the financial district. It just worked. Since then I’ve been so lucky, people have been inviting me to present it all over the world so I’ve been doing that. Taking the clouds around and letting them off as a kind of testament to the importance of happiness. Which cities would you want to take your happy clouds to nowadays? Any upcoming public projects in 2017? We are definitely in need of more projects like that in the aftermath of 2016. Well manchester next for the happy clouds, that’s in March and there are several performances as part of a fabulous Mental Health festival called ‘Sick’. Then we’re talking about a HappyCloud performance in Spain. but the big one will be Denver 2018. It’s going to be big all my attention is on that right now. What is your happiest day like? Do you agree on a universal definition of happiness? Happiness is so simple, nobody needs to define it. It’s not about the head it’s about the heart. It’s not about what happens in the day. The day exists inside happiness not the other way around!